HARTFORD - It all starts today for the Berlin football team. 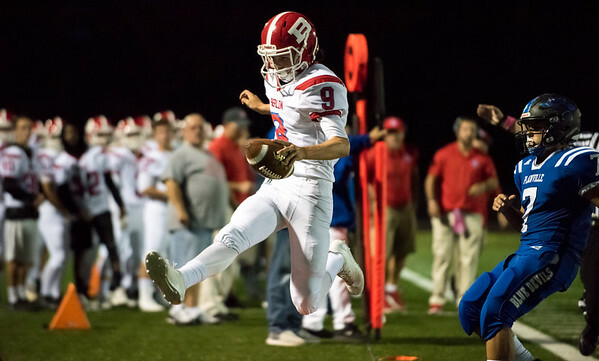 The Redcoats already believe this is the year they will become Class M state champions, but before they even reach the playoffs, Berlin will have to take on Bulkeley/HMTCA/Weaver today at noon for what appears to be an easy matchup. Last season, the Redcoats shut out the Bulldogs 27-0 and are expecting the same results this time around. Berlin quarterback Kevin Dunn said although it should be an easy game, it’s not something the Redcoats should overlook. The Redcoats have to be cautious of rusher Anthony Regis. He will be joined by Joshua Thomas, who is another impressive running back. The Bulldogs also have 180-pound, 6-foot-2 wide receiver Angel Dejesus who can make big plays on offense. Berlin will be returning a majority of its backfield from last season, including running back Larry St. Pierre and leading rusher Alex Halkias. Hrubiec will be a force as fullback this season along with Josh Woods. Receivers Tyler Dinkins and Andrew Brochu will also be returning to the field. Although Berlin will be returning 19 starters, Aresimowicz is worried some of the mistakes the team made last season will make an appearance again. The signal caller agrees with Aresimowicz. Posted in New Britain Herald, Berlin on Friday, 7 September 2018 21:24. Updated: Friday, 7 September 2018 21:26.